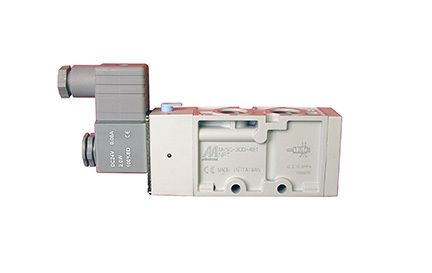 4 Way solenoid valves: this type has 4 or 5 connections called ports - one port for the pressure inlet, two ports to provide pressure to double-acting cylinders or actuator, and one or two ports to exhaust pressure from the cylinders. 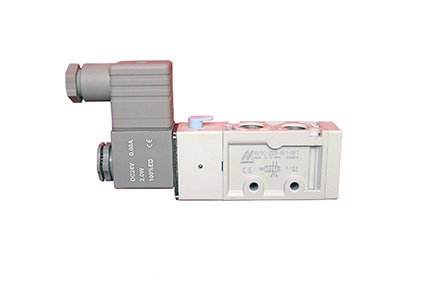 3 Way solenoid valves: this type has 3 pipe connections and two orifices. When one orifice is open, the other is closed. Usually, they are used to apply pressure to and exhaust pressure from a single acting cylinder or a valve actuator. We also provide Snaptite valve replacements.